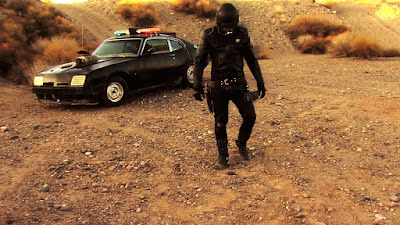 WASTELANDER is a indie horror sci-fi feature from director Angelo Lopes that has recently been released by Indican Pictures. Inspired by films such as Mad Max (1979) and The Bad Batch (2016), WASTELANDER is out now in the U.S. via the following digital platforms: DirecTV, Comcast, Sony Playstation, YouTube Moves and many more. In the film, an ex-soldier helps survivors in a desolate, future world. They attempt to reach Eden as The Scourge, a group of bandits, hound their every move. Above is a still from the movie and below the poster artwork and trailer. In a post-apocalyptic landscape, an ex-soldier wanders in search of his lost home and family. He meets an odd collection of survivors including cybernetic humans who convince him to lead them through the wasteland while searching for the legendary safe haven, Eden. But when a band of pillaging raiders called The Scourge hunt them – they must fight to survive in this cruel dystopia. 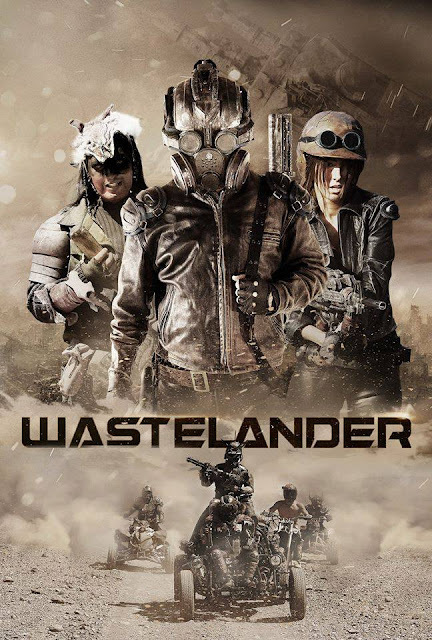 WASTELANDER is out now in the U.S. via the following digital platforms: DirecTV, Comcast, Sony Playstation, YouTube Movies and many more. Also a DVD release for the movie will happen 13th March 2018.